Commissioned by Tuzio Constanzo, the Castelfranco Madonna was produced in memory of his son, Matteo. Tuzio was a condottiero, one of the warlords of Italian city-states during the late Middle Ages. His son died, probably whilst serving him, for the Republic of Venice in the early 1500s. He was killed in a place called Serenissima and this artwork, together with a family chapel, was created in his honor. Castelfranco was Giorgione's hometown and the Castelfranco Madonna, an altarpiece, was one of the few works of art that was based on reality. To say that the artist had an unusual approach to his subjects would be an understatement and even this altarpiece manages departs from illogical normality due its architectural settings. 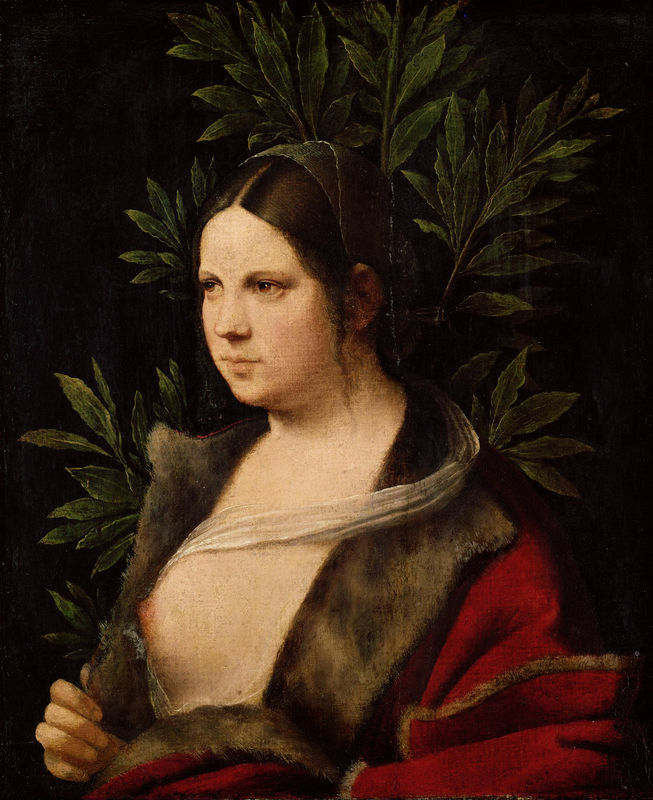 Giorgione's early works, particularly the Castelfranco Madonna, were known for the artist's use of the traditional panel support, much like his painting Judith (please see Related Paintings below). Giorgione created such works on canvas and used the textured, rough surface to complement his artistic expression. The artist's fascination with nature and desire to show the natural form in his work is largely forgotten in the Castelfranco Madonna but this may have been due to the fact that the guidelines for the commission were more rigid. A piece in memory of Tuzio's son, the work was obviously inspired a great deal by the commissioner but Giorgione's artistic brilliance still shines through. In the art world the Castelfranco Madonna would be described as a typical 'sacra conversazione' (sacred conversation), where the Virgin and Child are depicted alongside various saints - in this case St Francis and St Nicasius. 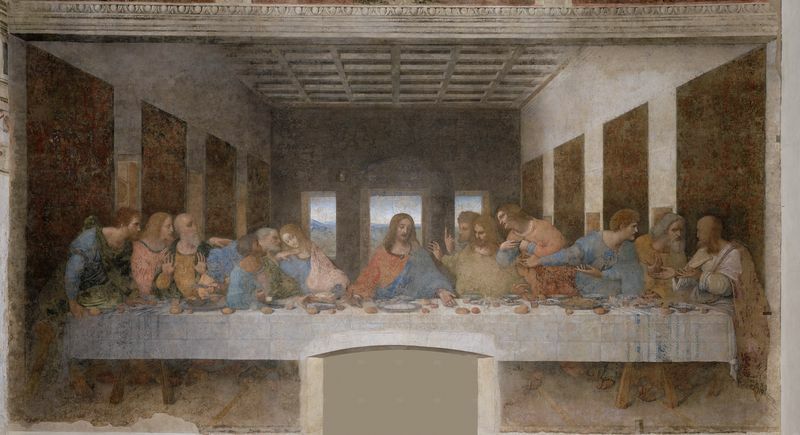 A style of painting that was almost developed as part of the Renaissance in Italy, it shows an interaction of figures. The fact that Giorgione's commissioner for this piece was a warlord more than likely inspired the armored figure and the other martyred saint - perhaps relating to war or religion, both of which held a high place in Italy during the early 1500s and the Renaissance. The Castelfranco Madonna is often compared to Laura, a later painting by Giorgione and shows how his style had changed by 1506 when that painting was produced. Here, the Italian uses light very evocatively on the surfaces of the work to make the painting stand out. It could be argued that the Castelfranco Madonna was one of the most important steps for the Venetian artist on his way to becoming a world famous painter. 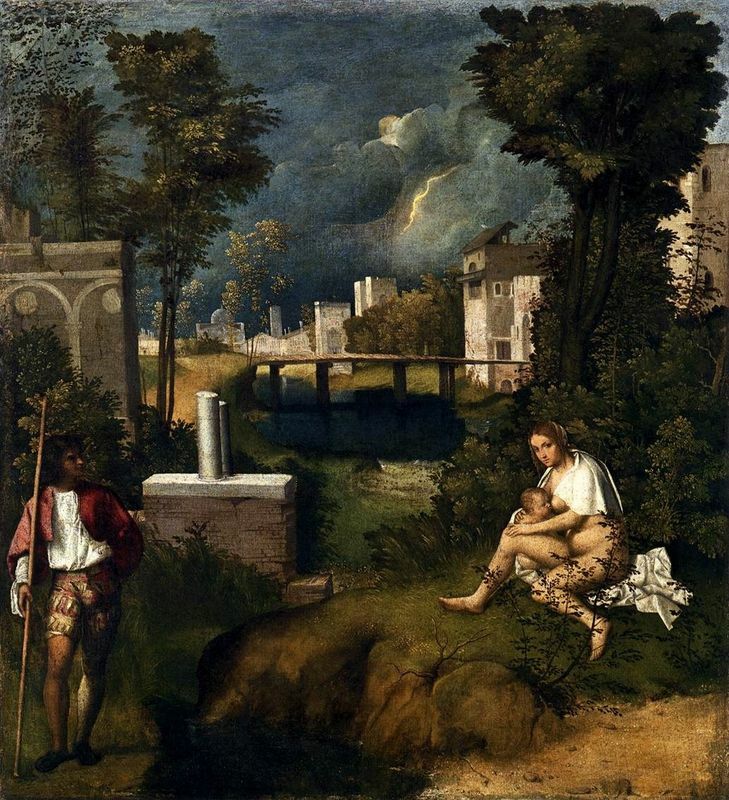 A character of many of Giorgione's future paintings (namely Laura and The Tempest) is the intricate handling of foliage, architecture and flesh detail in the picture. It is evident that both the shady and lit areas have received a rather grainy treatment and this ensures a radiance of color, contrasted by blobs of impasto in the highlights to absorb the dress of the Virgin. Maybe due to the personal attachment to this work by the commissioner, Giorgione seemingly took more care when creating the vanishing point, position and horizontals in the pattern. In his other paintings, Giorgione's rather enigmatic mood didn't have the same result. The architecture has a pastoral prominence to their features and the romanticism and color scheme used to depict the saints further reinforces the artist's wandering mind. The Castelfranco Madonna is a largely traditional work in terms of its technique and tests carried out in 1978 proved this. 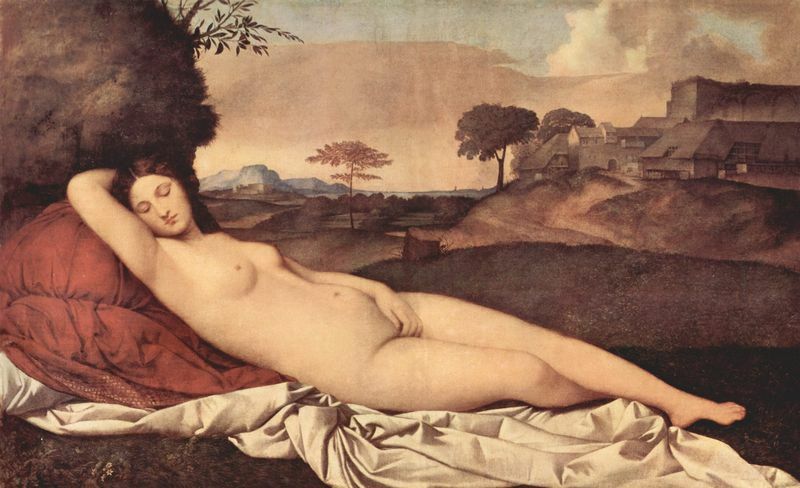 This was, however, one of Giorgione's earlier works and became more creative and experimental in his later career. The artist's early works were completed on traditional panel support and, for this reason, the Castelfranco Madonna relates to this piece. Arguably a step forward with regards to technique, this painting is frequently compared to the Castelfranco Madonna. 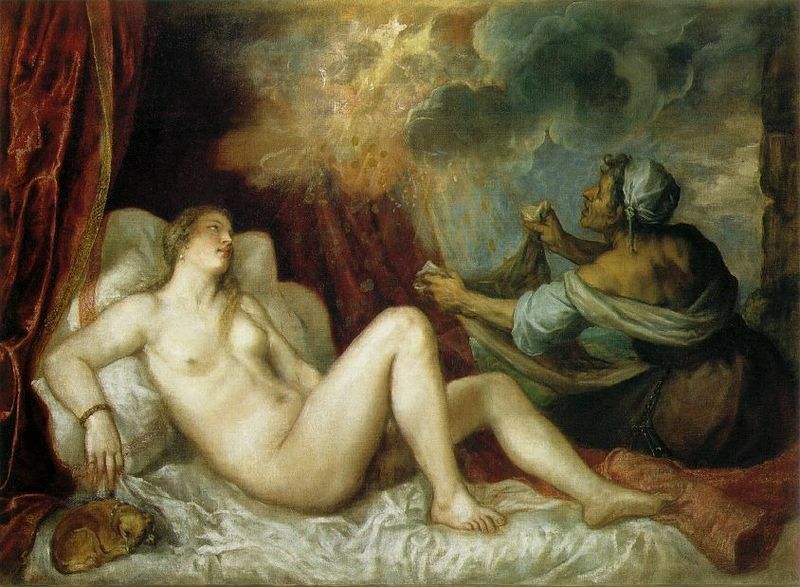 Although it is more readily compared to Laura, Giorgone's attention to detail in the Castelfranco Madonna leads to comparisons with The Tempest, one of his best works. 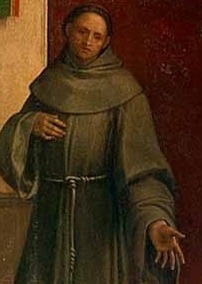 Giorgione's early career was spent working in Venice and painting Madonnas, a popular choice of subject matter at this time and the Castelfranco Madonna epitomizes his style and technique. Many commentators argue that meeting Leonardo da Vinci in the early 1500s profoundly affected Giorgione's art, particularly his use of oil. While Florence was enjoying the fame thrust upon it by da Vinci, Giorgione was busy creating his own masterpieces in Venice. With works such as the Castelfranco Madonna Giorgione surpassed previous legends such as the Bellinis and his skills and versatility earned his a great deal of respect among art fans. Modern art critics generally agree that Giorgione was a pillar of the Renaissance and a pioneer in the world of art - responsible for the increased use of oils paintings. 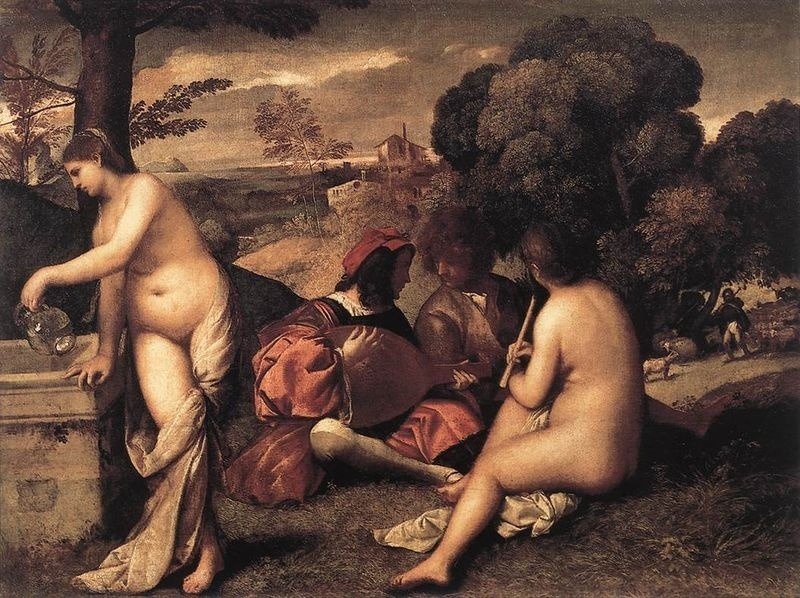 In French Renaissance means 'rebirth', and artists such as Giorgione who were seen to be at the head of an intellectual and artistic evolution.